I have been involved in martial arts since I was a young child, training in Karate, Hapkido and Judo. I began Boxing in 1997 under the late Jerry Knight and had a successful high school wrestling career. During my mid-twenties I started training at Boston Brazilian Jiu-Jitsu under Roberto Maia and received my black belt in 2011. I began teaching and coaching children in 1997 and received a Bachelor of Arts in Psychology from Southern New Hampshire University in 2002. Within months I was working towards a Master of Social Work degree from Boston University, which I received in 2005. I worked as a Child and Family Therapist and Psychology Professor prior to running Triumph BJJ full-time. I am from Amherst, NH and started wrestling in 6th grade, twice earning the title of divisional state champ. After high school, I wrestled at Plymouth State and Norwich University. I began competing in professional MMA in 2006 and BJJ training in 2007 under John Fain, receiving my black belt in 2016. I am still actively competing and currently ranked #3 in the Northeast. 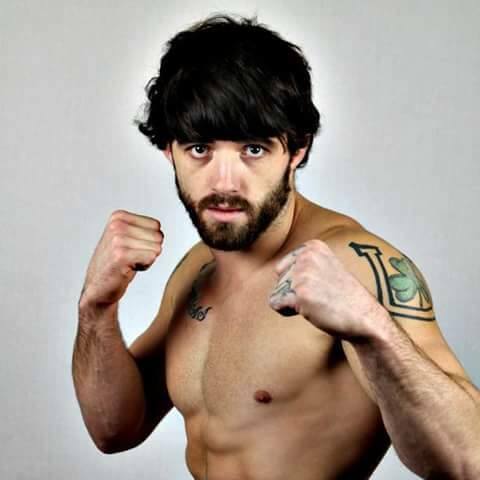 I hold a professional MMA record of 14-11, 2 titles, and 4 Bellator appearances, 3 being on the main card. I began training BJJ at Triumph in 2006 with essentially zero martial arts experience. I was nonathletic and out of shape but I dropped 50 lbs in my first year and I haven't looked back since. I love seeing new a student come in the door to begin their own journey. BJJ really is for anyone and I believe it will change your life for the better. I have competed several times in BJJ, earning a Silver medal at the IBJJF Boston Summer Open 2013 (Master 2 division, purple belt, super heavyweight) and Bronze medal at the IBJJF Boston Summer Open 2011 (Master division, blue belt, super heavyweight). I started traditional martial arts at age 12 and Muay Thai at 21. 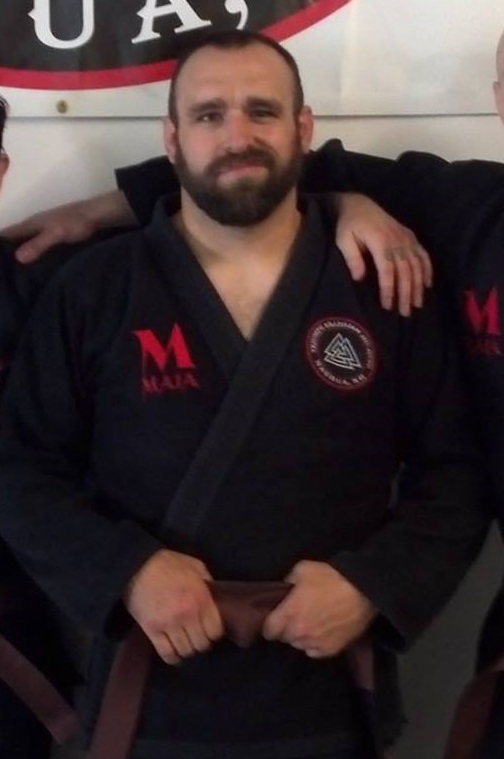 During my tenure I amassed a pro record in Muay Thai of 19 wins to only 5 losses, I retired from fighting at age 31 and have been coaching striking for MMA since, first in Worcester, MA and now at Triumph BJJ. I've been studying various martial arts for over 20 years and initially earned my black belt in Northern Chinese Shaolin Kenpo Karate. Along the way I've studied Muay Thai, Wrestling, Judo, Kung Fu, and Tai Chi. I found Brazilian Jiu-Jitsu and MMA at a small dojo before Triumph opened in 2007 and I have been training here week in and week out ever since. I have since earned my brown belt under Professor John Fain. I worked my way to a 2-2 record as an amateur mixed martial artist and have competed in many grappling tournaments along the way. I work as a Strength & Conditioning coach as a day job and regularly help Triumph students with their fitness and nutrition. I love the martial arts as much today as the first day I walked into a dojo and will remain the perpetual student for as long as I live. I started jiu jitsu in 2007 while going to grad school as a way to burn off stress. The discipline and the daily challenge to better myself has kept me coming back for over 9 years. I've competed in jiu jitsu tournaments as well as amateur MMA (1-0). I first came to Triumph in the Spring of 2011 at the end of my senior year of high school. Since then I have received my purple belt and competed in 13 MMA bouts, amassing a 6-2 amateur and 3-2 professional record.